Great taste gold 2010. Suitable for vegetarians. 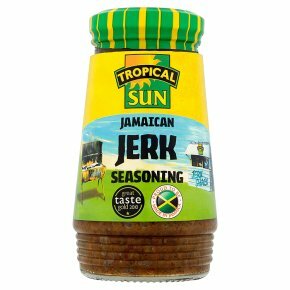 To get the heart and soul of Jamaica into your jerk cooking, slit the meat and rub in 2 tablespoons of our seasoning for every 500g of chicken, meat or fish. Ideally marinate overnight before barbequing, grilling or slowly roasting. Then relax, eat and enjoy!